Curtis, G. et al. (2018) The impact of early life nutrition and housing on growth and reproduction in dairy cattle. PLOS ONE 13(2): e0191687. 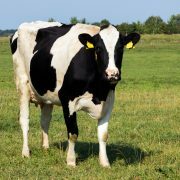 Rearing dairy heifers involves significant financial outlay, which has been said to account for approximately 20% of total on-farm costs. The recommended optimal age at first calving (AFC) is 24 months, due to potential production losses with a lower AFC and increased rearing costs with a higher AFC. Achieving this optimal AFC depends to a large extent on early life management and nutrition to ensure animals are sufficiently well grown to receive their first insemination at 12-13 months. 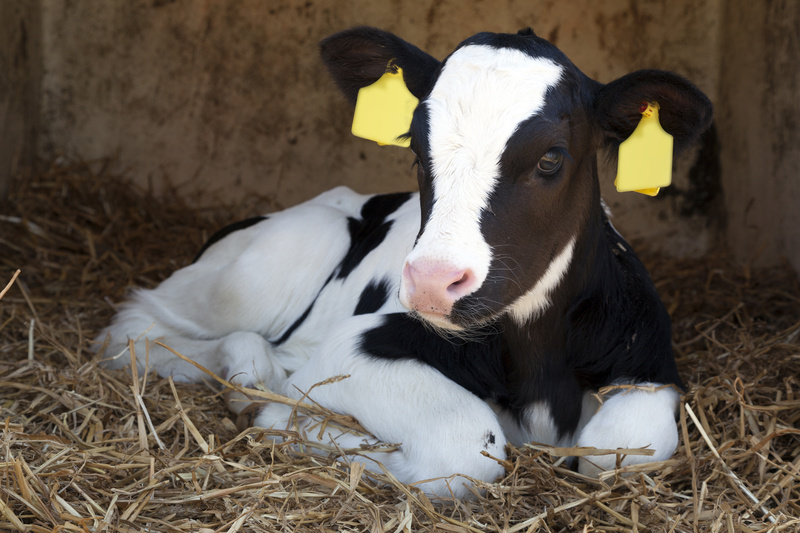 The use of restricted amounts of milk or milk replacer (MR) for pre-weaned dairy calves is commonplace despite concerns about its impact on the animal’s growth and development and the productivity in later life. 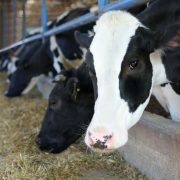 This study compared data from calves subjected to one of two pre-weaning strategies 1) restricted milk replacer (twice daily bucket feeding) with individual penning for the first 21 days followed by group housing (group R) and 2) ad libitum access to milk replacer with group housing from birth (group A). 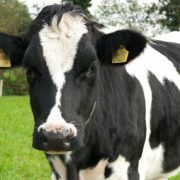 The study was performed at the University of Liverpool’s dairy farm. All healthy singleton heifers born between January 2011 and November 2012 were recruited into either Group A (n=50) or Group R (n=50) in birth order. All calves received 3-4 litres of their own dam’s colostrum as soon as possible after birth. Group R calves received 4 days of dam specific colostrum meals and then were fed 2 litres of MR twice a day. Group A calves had ad libitum access to MR via an automatic computerised teat feeder, including the four day training time where they were fed dam specific colostrum meals. MR intakes for calves in Group A were recorded by the computerised feeder using a mean group intake for a subset of calves: 2 pens of Group A (n=9) and 2 of Group R (n=7). Weaning commenced in Group R at 56 days and was completed by day 63 and for Group A at 63 days with completion by day 84. From 12 weeks of age onwards calves in both groups had the same nutritional and husbandry protocols. 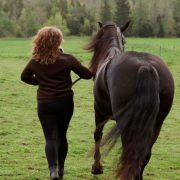 The body weight of each calf was recorded within 12 hours of birth, while the height at the highest point of the withers and loin, circumference of heart and belly girths, crown to rump length and hock-fetlock length and body condition score (BCS) were recorded in the following 36 hours. These measures were repeated weekly until 12 weeks of age, then every 4 weeks until pregnancy. Weekly blood samples were taken from 48 hours of birth until the confirmation of puberty. From 28 weeks ‘pregnane metabolites’ were measured in triplicate as a proxy for progesterone concentrations. Animals were classified as pre-pubertal when plasma pregnane concentrations of ≥ 2.00 ng/ml were recorded for 2 consecutive weeks. 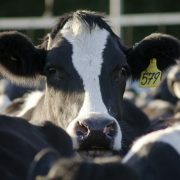 Pre-weaned calves were examined twice daily for illness and cases of diarrhoea were treated by a standardised protocol. Results showed that Group A calves consumed considerably more MR (mean 914 litres) than Group R (315 litres) over the entire pre-weaning period. Voluntary daily MR intake in Group A calves increased rapidly to 7.6 litres/day by day 5, grew linearly to 13.3 litres/day by day 26, before the increase slowed to peak at 15.3 litres/day near the onset of weaning at 64 days. Pre-weaning growth rates were significantly higher in Group A (0.89 kg/day) compared to Group R (0.57 kg/day). At 12 weeks mean body weight was 103.88 kg in Group R and 116.80kg in Group A. The most marked difference in mean daily growth rate was during the first three weeks (Group A 0.72 kg/day, Group R 0.17 kg/day). Between 9-12 weeks of age, when Group A were undergoing weaning, growth rates were greater in Group R.
Group A calves gained BCS throughout the pre-weaning phase, whilst Group R calves lost BCS during the first four weeks of life. The mean age at which Group A calves reached 380 kg (the pre-defined minimum weight for insemination) was 57.4 weeks and for Group R 60.4 weeks. The mean number of services required to achieve conception was similar between the two groups; 57% of Group A and 51% of Group R became pregnant at first service. Limitations to the study include: lack of random allocation to the groups; confounding as to the feeding system by housing (making any differences between groups potentially due to housing, feeding or a combination of both) and vice versa as standard farm policies for housing were followed; and the relatively small sample size. This study shows the long-lasting benefits of high nutrition pre-weaning with conception, and therefore first calving occurring 2-3 weeks earlier. The benefits of an earlier AFC would need to be weighed against the increased costs of ad libitum feeding and later weaning. The results point to the fact that the first four weeks are particularly critical with regard to unrestricted milk feeding. Further studies looking at the future health and production of heifers following different feeding regimes are encouraged.